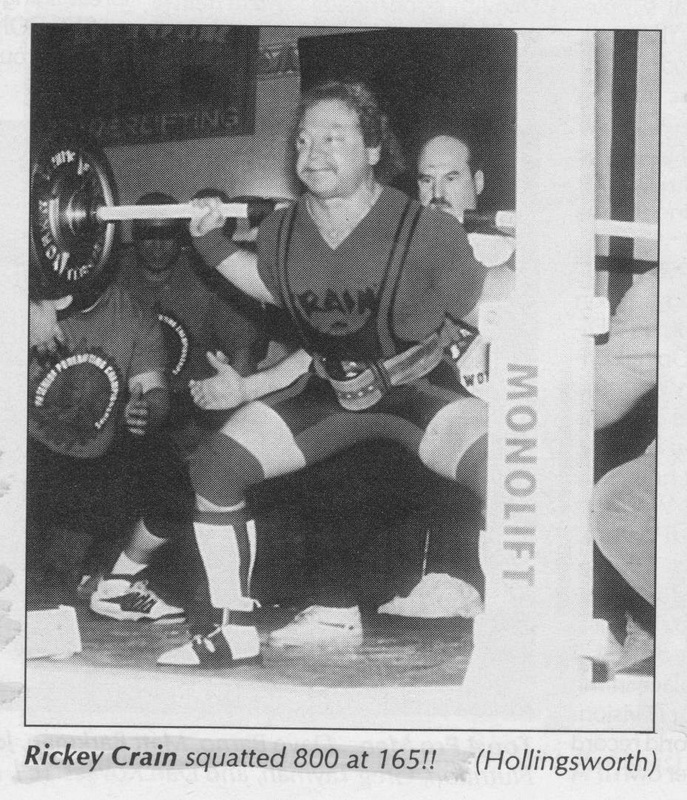 I have been breaking all-time historical world records for over a dozen years, and I continue to set new world records, produce grand powerlifting extravaganzas and run a company that provides the most innovative powerlifting gear in the world. To do this, I have learned how to set goals and specific outcomes for myself and have created a strategy for how to achieve them. Achieving my goals is not just hard work. It requires systematically applying certain principles which make these goals compelling as well as developing a plan that takes me step by step to successful fulfillment. I have been modeling the processes required to create the energy and momentum to push my performance to a higher and higher levels of success. I want to share with you how to tap into the vast reserves of power within you to release your imagination and creativity that will inspire you and compel you to success. The first step is to decide on your goals. What do you want to accomplish? To do this you must suspend all of your old limiting belief systems about what you are capable of achieving. For now, set aside all your old doubts and fears. At this step, it is not useful to limit yourself by being practical or trying to be realistic. Now is the time to set grand and important goals. Set goals that will truly transform your life. The power, excitement and drive you need to unleash from within comes from creating bigger, more inspiring and challenging goals. Assume there are no limitations. You must have goals that are big enough and magnificent enough to challenge you to push beyond your old limits and achieve your true potential. I personally believe you and each person on this planet has the potential to do or be anything they want. If you absolutely knew that you could accomplish anything you want, what would you want to achieve? What is it that you secretly desire to accomplish but have never actually given yourself permission to claim for yourself? Suspend your need to know how you will achieve your goal. Just let yourself dream about having the most intense excitement ever when you see the possibility of achieving what you truly want. This is a very important part of the secret: to find a goal big enough to inspire you to greatness. A natural part of the way our mind works is to always be pursuing something. Our mind is always moving us toward some objective. We either move away from pain and discomfort or move toward pleasure and fulfillment. Often we fail to strive for the very big goals because we don't want to be disappointed. We create comfort for ourselves by moving away from the possibility of future failure. I want you to know that holding back on your goals is the most painful thing you can do in the long run. You must set aside all your questioning and stop doubting your ability. The most painful thing in life is not achieving your true potential. Don't let life pass you by. Go for it. Re-engineer your life now. Unleash the mental, emotional and physical powers that will sustain you through the most difficult, trying and painful times. When you have a magnificent goal that is truly worth achieving, you will be so obsessed with it that you will be compelled to move toward doing whatever it takes to achieve it. This is how to make having potent goals work for you. Just setting goals, regardless of how inspiring they are, doesn't make them happen. You have to learn how to envision your goals with clarity. To do this, turn your goals into specific outcomes. Outcomes are the specific things that you will accomplish. Divide up or chunk down the big goals into specific and achievable outcomes. The foundation for success is turning vague and invisible goals into specific, concrete outcomes. When your outcomes are clearly defined, you know precisely what you will do and when you will do it to achieve success. Take a close look at exactly what you will have done. The more specific you are, the more clearly you will see your vision and the more certain and confident you will feel about your success. After you know what you really want, you must begin to focus in on what having your goals will truly be like for you. How will you know when you have achieved your outcomes? What will your evidence be that you have achieved your outcomes. What will you see when you are successful? How will having achieved your goals feel? What will you hear? What will you say to yourself and others? To make your goals real, you must be able to clearly see the results, intensely feel the accomplishment and plainly hear what you and others will say in response to your success. Test to make sure your outcomes are well-formed. First, are your outcomes stated in the positive? Are your outcomes what you actually want versus what you don't want? If you are looking at what to avoid or eliminate, then your outcomes are not well-formed, and, you are setting yourself up for failure. Remember, we always create what we focus one. A well-formed outcome is always stated in the positive so that you know exactly what you will accomplish. Example: I want to win the state championship. I will total 1400 pounds. Versus: I don't want third place. I don't want to total less than 1400 pounds. Second, what are your outcomes in your control? Are your outcomes stated as what you will personally do versus what someone else will do or what else needs to change for you to accomplish them? Keep your outcomes in your personal control. Don't give up your power to anyone else or anything else. Don't be dependent on anything outside of yourself to accomplish your objectives. Keep all your power within yourself to achieve success. Third, when and where will you achieve your outcomes? Knowing specifically what the contexts are for achieving success is important. When and where will you complete your objectives? Set specific locations, time frames, dates and deadlines. Be very specific. Only when you have a specific time frame will the necessary subconscious resources be aligned with all the other demands in your life for you to achieve success. If you do not make a commitment to when and where your objectives will be achieved, then other things will take over and sabotage your success. Don't give away your power. Commit to deadlines and keep them. Fourth, are your outcomes sensory grounded? That is, what will your senses see, hear, feel, taste and smell when you are successful. The more concrete, specific, clear and exact your internal mental representations are of your outcomes, the more your subconscious mind power will find ways for you to achieve them. Remember, you are learning how to unleash the subconscious competence of your mind to propel you to success. When I put on the Greatest Bench Press in America, for example, I consistently thought ahead of time of specifically what I wanted to see, feel, hear, taste, and smell on September 16, 1995. Each day and each week ahead of time I envisioned a packed Majestic Theatre in Dallas with lifters lifting huge weights one by one. I pictured hearing the crowd roaring and saw the camera flashes from Robert Kennedy of Musclemag International, Mike Lambert of Powerlifting USA, and other reporters. I saw the results of the Greatest Bench Press in America printed in Powerlifting USA, Musclemag International, Muscle and Fitness, and other magazines. And I heard myself and others reading the articles. I smelled the scent of Icy Hot and chalk dust in the air back stage. I saw great lifters with intense faces in a group preparing to take their turn at benching on the brilliant red bench set on the huge American flag painted platform. I saw them pushing the power bar and gold colored plates with spotlights gleaming and cameramen wearing black in position. I heard the sound of my psych-up music blasting when it became my turn to exhibit my deadlift prowess, and I felt the straps of my suit being put on before the feel of the knurls of the bar in my hands and the bar's bending action. I felt all my muscle fibers positioning and contracting together in just the right synchronicity. I felt my teeth grit together and saw the ornate ceiling of the theater and the glare of spotlights as I coiled into position for take off with the world record poundage, etc. All of this was in my thoughts ahead of time. What has stopped you from achieving your goals in the past? Now is the time to acknowledge your past limitations and look them squarely in the eye. No true mental, emotional or physical transformation occurs without complete and utter honesty. How have you sabotaged yourself in the past? What has held you back? How do you limit yourself? Is it fear, frustration, hurt, disappointment, uncertainty, anger, confusion, lack of emotion or physical pain? Take a good honest look at your barriers to success. Denying, suppressing and avoiding them just lets them operate at a subconscious level where they can function indirectly to limit you. We all need pressure to achieve success. The more you are dissatisfied with your performance the greater the power you can draw upon to move you forward. It's all in the way you form it in your mind. When you look upon your barriers as something to overcome through sheer will power, you are expelling a lot of unnecessary energy. The secret is not to avoid pressure, tension and stress but to induce it intelligently. Learn to feel the excitement that stress and tension creates. See challenges as an opportunity for bettering yourself. By consciously facing your barriers you can learn to use them to create the determination and commitment you need to take positive new action. A little known fact is that your personal barriers are actually trying to help you. All behavior has a positive intention. Although the actual behaviors and feelings get in your way and can limit you, their deeper level of intention is positive in order to protect you from failure, shame and pain. Most barriers were learned from experiences in the past when you were young, immature and less resourceful. They were your best choice at that time. It is time to acknowledge them, release them and develop more mature and flexible behaviors. Use your barriers to drive you in the direction you desire. Let your barriers tell you what you need to to do to move through them. when you acknowledge the limitations, face them, work with them (not against them) and take action to resolve them, they will become one more success you can add to your accomplishments. For example, if you discover yourself hesitating too long before you deadlift or not pushing hard enough with a blastoff on your bench, examine and ask yourself what is stopping you from lifting with more explosive power. Your answer could be many things. An example would be that perhaps there is a fear of hurting your back or injuring a groin muscle. Now that you have acknowledged the fear, you can appreciate yourself for providing that signal that you may need more protection. Now you can adjust your gear, get a better belt and strengthen that specific area to prevent injury. 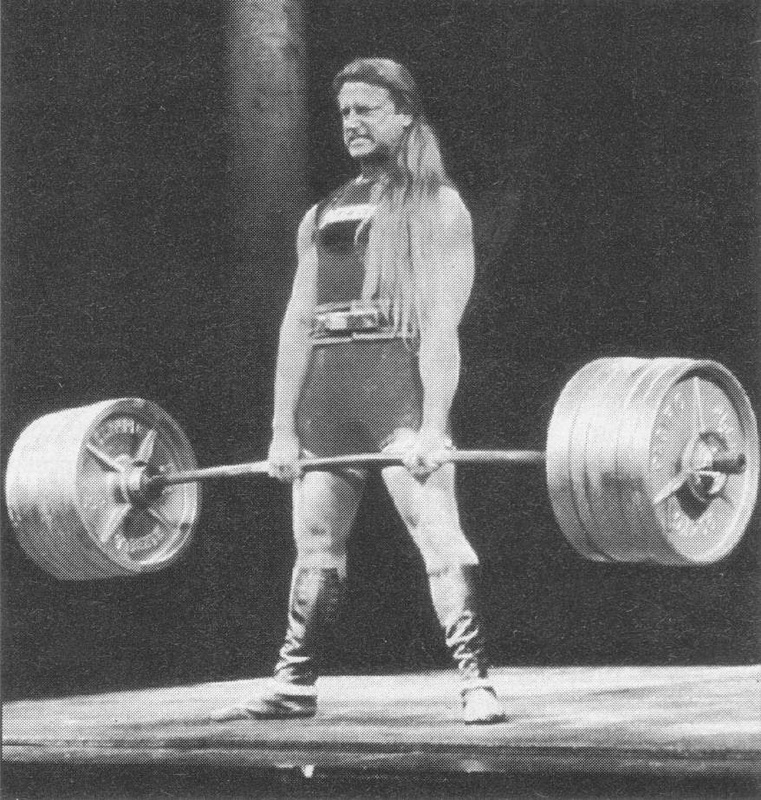 I had an experience once when my deadlift started moving closer to 800 pounds. I discovered that I was not pulling explosively off the floor as I had done when my max was 750. The cause was that I was subconsciously afraid that much weight would slip out of my hands if I pulled the bar faster. If the bar slipped, then it could be embarrassing for me with so much attention from my friends, family and the media. I thanked myself for giving me that signal and began strengthening my grip strength. I also focused even more on a successful pull. My grip strengthened and I gained more explosiveness. I acknowledged to myself that I could suffer some form of intense emotional pain in my path toward my outcomes and I resolved that possible pain was worth the risk for the great feeling I get from improving myself. The results were that I felt exhilaration on contest day and I pulled the world record easily and held onto the bar! We all know that achieving significant new goals requires a lot of good honest hard work and effort. By understanding how motivation works, you will be able to invest the energy and effort necessary to achieve your outcomes. We are motivated to move away from pain and discomfort, and to move toward pleasure and fulfillment. Many tasks are difficult, trying and painful. However, when you achieve your outcomes, life is pleasurable and fulfilling. Therefore, we tend to move away from doing tasks (pain) and move toward achieved outcomes (pleasure). The secret is to stay focused on the outcome and how it will feel when you are successful. This will keep you moving toward your goals and give you the determination and commitment needed to do whatever is necessary to be successful. The pain of doing the task is only temporary. The pleasure and fulfillment of achieving your goals are lasting effects. A compelling motivation strategy always focuses on the outcome. This creates and sustains the positive feelings necessary to invest the massive amounts of effort and endure the pain required for success. You can achieve anything you want if you are wiling to pay the price and stay focused on the outcome. Recently, a friend of mine wanted to put on a full powerlifting contest at a local gym. He fretted over all the hassles and the risk of not enough lifter turnout. I helped him keep psyched up to his idea and goal by acknowledging that yes, it is going to be a lot of work, and told him to feel how good it will be to direct a meet. He started applying these outcome procedures and feeling how good it feels to produce and direct a contest and the feeling of getting to put many of his ideas into place of how he wanted to run a meet. Feeling good about feeling good helped him stay focused on his outcome of 45 participants and other specifics, and helped him make it through all the tough tasks a meet director must do. On meet day, he had 47 lifters and expressed how he felt on top of the world directing his first contest. Now that you have a compelling vision for the future, have set specific outcomes, acknowledged your barriers and know how to motivate yourself through the pain, it is time to develop a plan of action. You need a road map to track your progress and set benchmarks to achieve along the way. Think of this as a time line. This is a picture of your life; past, present and future. To begin, look at all the things you have accomplished so far. How did you get to this point in our life? Take some time to acknowledge to yourself all the successes you have already had in your life. Look at the significant things you have already accomplished. Notice what you have learned so far. See the improvements you have made. This is a time line of your past. Notice all the milestones of successes and the natural progression you have made toward where you are at this time in your life. Create a future time line that clearly establishes benchmarks that lead to success. Now is the time to be realistic and practical. If you are going to fully accomplish your goals within the deadlines you have set, you must do specific things at certain times along the way. Chunk down the steps you will take into smaller steps that are possible to accomplish. You probably can't lift 793 lbs in May if you don't lift 766 in April and 744 in March. You can meet your deadlines and accomplish your goals by establishing specific benchmarks to complete along the way. In business we call this strategic planning and project management. It's a logical, rational process of mapping out what you will absolutely accomplish and when. There's no simpler way to do it. If you want to give your power away, then set fuzzy and vague goals, objectives, deadlines and benchmarks. The key to success is consistent progress toward your goal. Each day you have a new challenge and a new opportunity to feel the thrill of success. You create what you focus on. If you focus on limitations and problems then you get to keep them. You have seen some examples of the results of that kind of negative focus by some of the key people in our sport. If you know them, you can look back over their careers and see that they have had some of those same problems for a long time. They probably have some good intention for themselves and some may even have a good intention for the sport. However, they either don't know how to better focus their energy or maybe they fear changing their path or their focus. I suspect all of us have done some type of negative focus ourselves in the past. If you focus on inspiring new goals then they will become yours. The fact is that at the very center of our brain is the reticular activity activating system (RAS) that is specifically designed to filter out routine insignificant information and focus your attention toward important and significant information, solutions and resources. For example, as you have been reading this article, you may notice now that you have been unaware of some insignificant things in your environment. There is probably a ticking clock or the hum of a household or room appliance. You probably weren't thinking of what color your shoes are at this time because your RAS was helping you focus on the important information you were reading. The RAS allows you to focus on finding solutions for what is important, intensely felt and well focused. So, if you want to fail, put a lot of time and emotional energy into thinking about your problems, what you haven't done, what your limitations are and why you have them. To achieve significant and important goals, stay focused on them. Even when you don't know specifically how you will accomplish the goal, trust your RAS to help you seek out and find the solutions and resources you need to be successful. Creating compelling goals and clear objectives shows your RAS what to look for. Your RAS will seek out the most useful resources and solutions that lead to your success. The closer you get to your goal the greater clarity and precision you will have as to how specifically to accomplish it. In addition to creating an Action Plan and a Time Line with Benchmarks, start clarifying the resources you will need. What changes and improvements will you need to make? What new resources will you need to find, create and use? Be sure to include other human resources like coaches, trainers, colleagues and professionals; physical resources like equipment, gear and nutritional supplements; behavioral resources like changes in habits or routines and new and different skills and actions; cognitive resources like learning new information, resolving negative thoughts and changing old belief patterns; and emotional resources like reprogramming negative feelings, resolving fears and installing position feelings that increase motivation. From a subjective point of view, the right feelings are the most important resources you can develop. When you try to go against, deny or overcome your feelings, difficulties arise. When your feelings are positive and congruent other resources will be easier to acquire. Any great salesperson can testify to the fact that when he or she believes in and feels good about what they are selling, a great performance comes easily. Let's say you have created a goal of starting a powerlifting club. 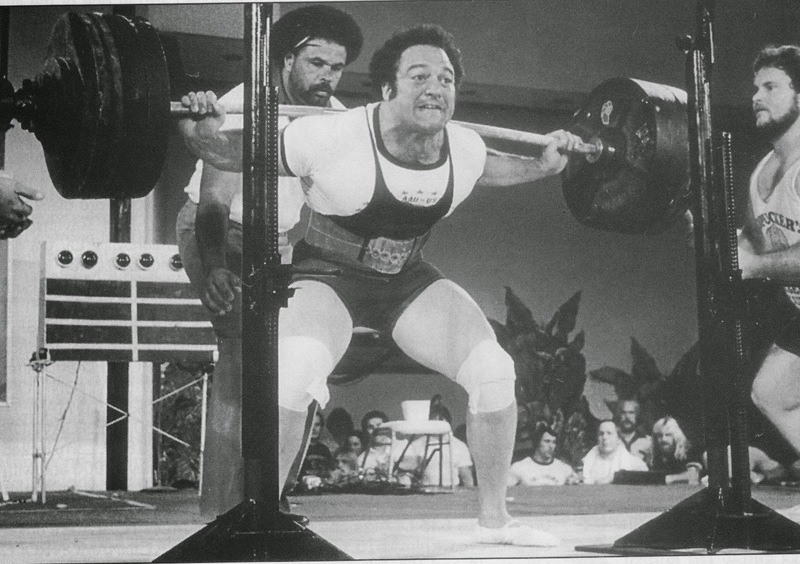 If you believe in and feel good about powerlifting and the camaraderie you will cultivate, it will be easier to attract club members, coaches and helpers. To have a compelling future is to be fully and completely committed to achieving your goals. Your goals inspire you to to invest the enormous and consistent effort needed to accomplish them. Compelling future goals fills you with enthusiasm, excitement and passion. They determine your priorities and are foremost in your thoughts and dreams. To turn your goals into a compelling future you need to answer some very important questions for yourself. Now is the time to get very honest about this process. WHY do you want to achieve these specific goals? What is the deeper, more important meaning and value that achieving these goals will have for you? When you achieve your goals, how will your life be different? How will you be different as a person? What will you miss out on if you don't achieve your goals? What kind of person will you have to be to fulfill your dreams? Write a script that you can say in 20 seconds. Include all the reasons why you must achieve your visionary goals. State clearly and precisely why your goals are significant and important for you. Memorize your script and repeat it to yourself twice a day, morning and evening. If reciting your script and envisioning your success does not full and completely compel you to consistent action, then you either need bigger goals or better reasons why you want them. Remember to keep some of your best goals to yourself until you have achieved them. This will protect you from the naysayers. Keep getting better at achieving what you want to achieve.